The work of renowned Swiss artist H.A. Sigg (born in 1924 in Zurich) features lyrically composed abstract landscapes derived from the visual image of the river. 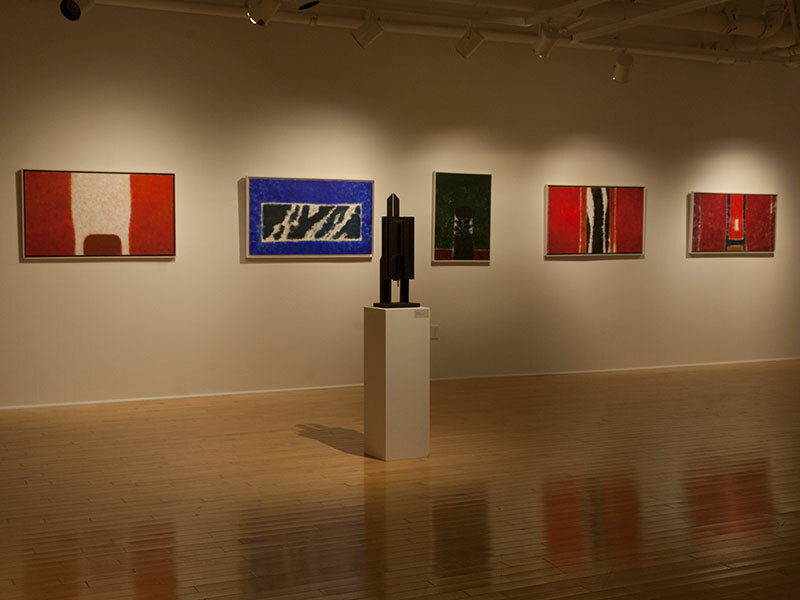 The Exhibition is curated for the UMass Dartmouth University Art Gallery in Downtown New Bedford by legendary art critic and, London based writer and curator Edward Lucie-Smith. The opening reception is on Thursday (AHA! 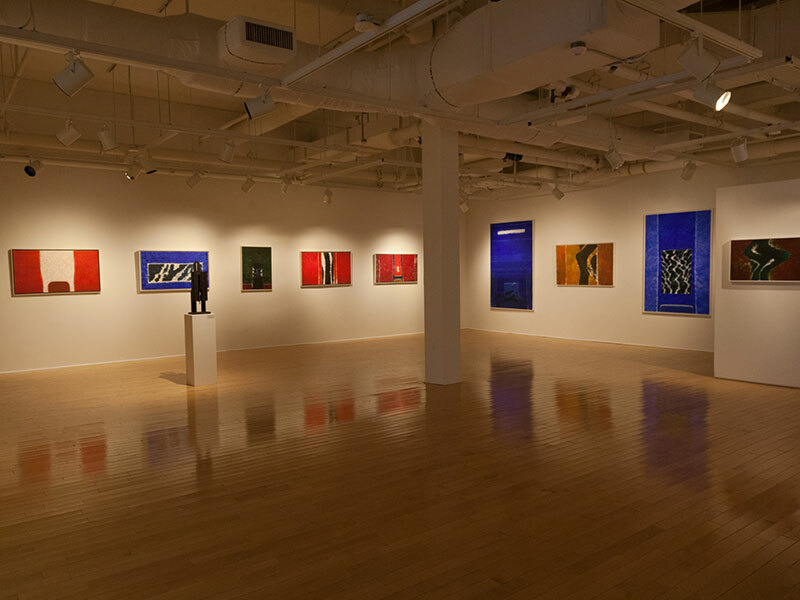 Night), February 14, 6–8 PM and the show is on view through March 14. 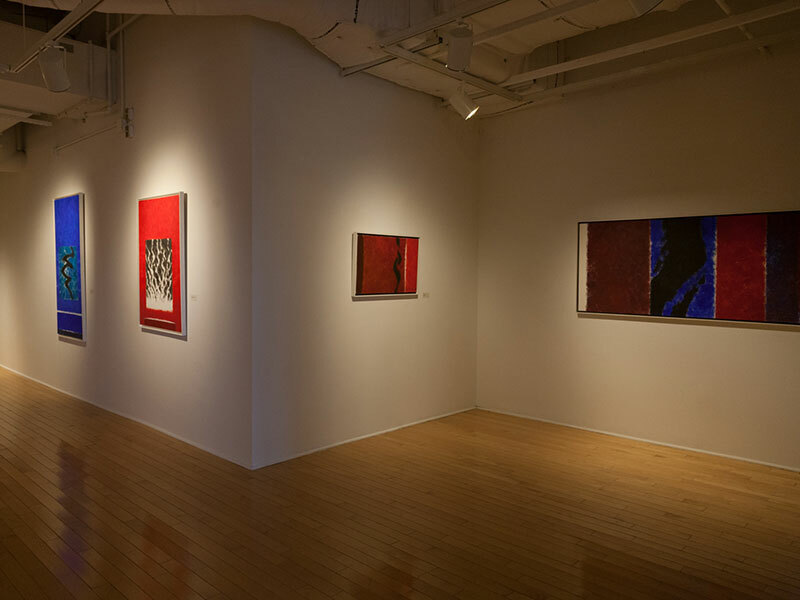 The monograph H.A.Sigg: The River featuring ninety color reproductions of his paintings, collages and sculptures along with a critical study written by Edward Lucie-Smith will be available during the exhibition. As was the case for many artists of his generation, Sigg started as a figurative painter. He grew up on a farm in hilly Switzerland and was drawn predictably to the beauty of the landscape. After his studies in Zurich and later in Paris, in 1968 he became Swissair’s ‘Artist in Resident in the Sky’. As such, he was permitted to sit next to the pilot as the plane flew. Understandably, he became fascinated by the aerial views of the landscapes where distant shapes turned into calligraphic signs. Sketching the vast landscapes from 30,000 feet above ground, the rivers became meditative curves, patches of land became color fields and details disappeared into clouds and a meditative stillness. This experience informed Sigg’s later work, presented in this exhibition. 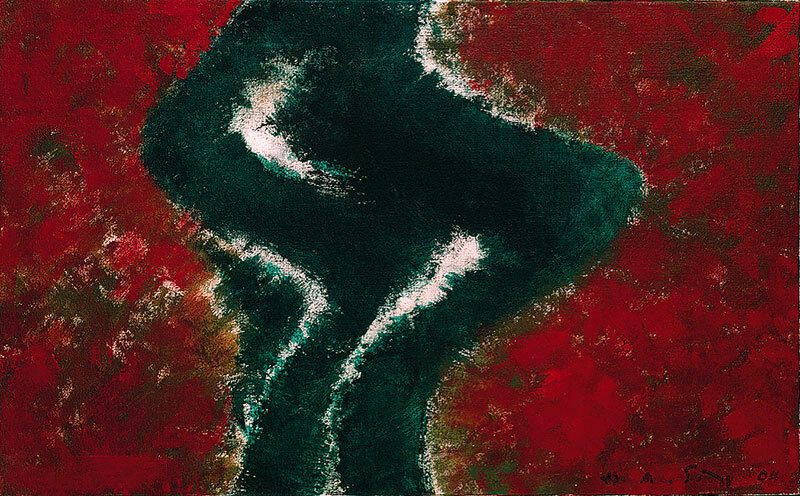 The titles of this graceful pieces spanning from1994 to 2010 such as Meditative II, Mystery, Dreamed IV, Within the Red III, In the Middle Realm III, and The Small Sign point to these canvases’ lyrical abstraction and their poetic nature where one can get lost in layers of acrylic color, abstracted signs and reflection. 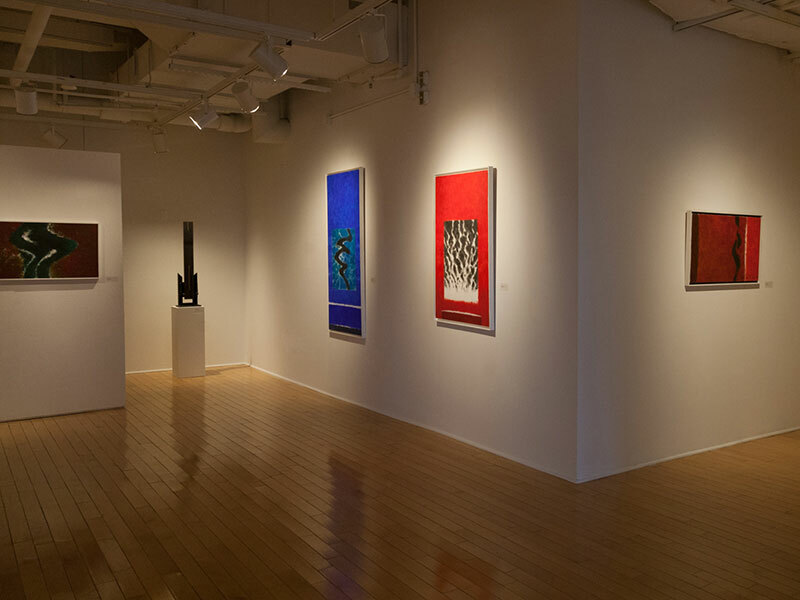 These totemic looking sculptures were inspired by one of the artists trips to Asia in the 1990s, in particular the architecture of Hindu temples and Buddhist shrines whose verticality and geometric forms had also influenced Sigg's paintings. Legendary art critic Edward Lucie-Smith is regarded as the most prolific and the most widely published writer on art with more than a hundred books in all and sales for some titles totaling over 250,000 copies. 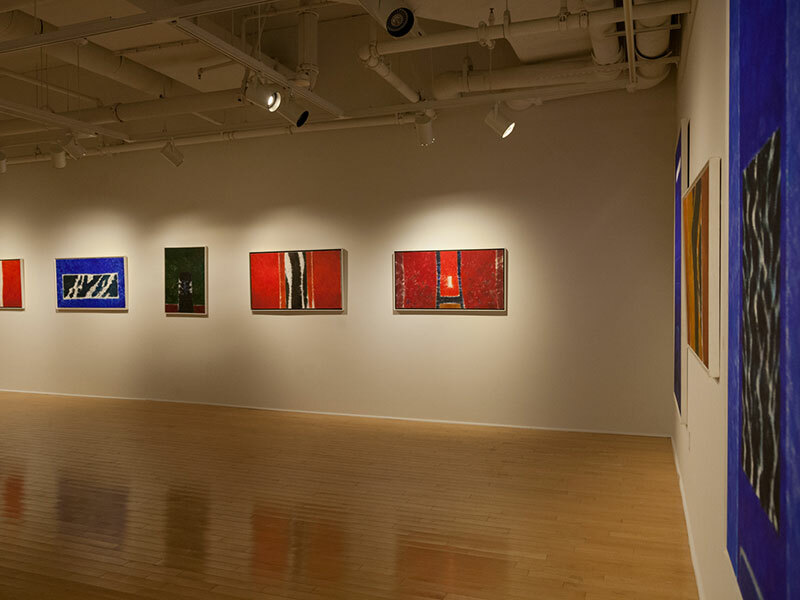 More than 60 of his books are chiefly but not exclusively about contemporary art. Among them "Movements in Art since 1945", "Visual Arts of the 20th Century", "A Dictionary of Art Terms", and "Art Today" are used as standard texts throughout the world. He is internationally acclaimed as an art critic, historian, curator, author, lecturer, poet and photographer. Mr. Lucie-Smith was born in 1933 in Kingston, Jamaica and moved to Britain in 1946. He lives in London. 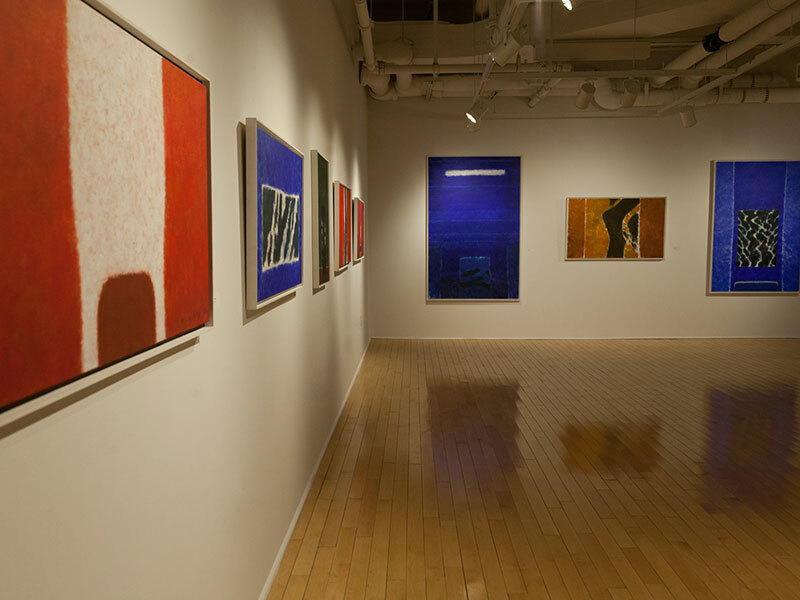 The University Art Gallery would like to thank to Daniel Sigg; Edward Lucie-Smith, Curator; Richard Fisher, Director, The Institute for Venture Philanthropy, and Walter Wickiser, Director, Walter Wickiser Gallery, New York. Offering an art school experience within a four-year, national tier 1 research university setting, CVPA at UMass Dartmouth offers 16 concentrations in Art and Design, Art History, Art Education, and Music. CVPA courses are taught on two campuses: Paul Rudolph’s distinctive architecture of the main campus in Dartmouth, and the Star Store Campus in downtown New Bedford.